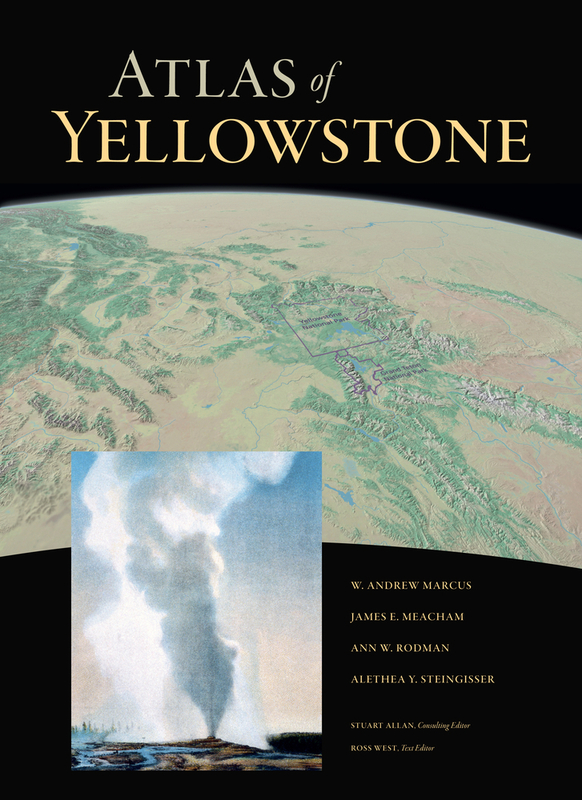 The Atlas of Yellowstone – initiated nine years ago as a class project in the University of Oregon’s Department of Geography – has been named the recipient of a top honor in the American Publishers Association' PROSE (Professional and Scholarly Excellence) Awards. The Atlas received the organization's award for Excellence in Physical Sciences and Mathematics – one of the top five PROSE categories. The PROSE Awards, which began in 1976, are intended to recognize the best in professional and scholarly publishing each year. Books, journals and electronic content in 45 categories are judged by publishers, librarians and medical professionals. Nominations are solicited each year from more than 300 member publishers – resulting this year in 518 nominations from 71 publishers. The Atlas of Yellowstone won in one of the 45 categories – Earth Sciences. Winners in each of the 45 categories are divided into five major award groups and the atlas won its major award in Physical Sciences and Mathematics. The awards were presented recently at the Ritz Carleton in Washington, D.C.
"In putting the atlas together, we received a lot of support from all the members of the UO Community: students, staff, faculty, donors and administration," said Andrew Marcus, a geography professor and associate dean of social sciences at the UO, and senior editor on the Yellowstone project. "This is a nice way to acknowledge … all that effort went to a book that is deeply appreciated by an audience that stretches far beyond Yellowstone," he said in an e-mail to colleagues announcing the award. The Atlas of Yellowstone – published last spring by the University of California Press – is the product of collaboration between the UO, the National Park Service, Yellowstone area universities and other federal and private agencies. It documents in images and words everything from the archeology to evidence of climate change at Yellowstone National Park. Its topics range from Yellowstone art to regional economy, and from vegetation to bison movement. The hard-bound reference book is filled with colorful maps and data-rich graphics, and covering a broad-spectrum history that reaches back millions of years. The atlas features thematic "page pairs" covering nearly 100 subjects. The page pairs feature sophisticated graphics depicting scientific data on subjects such as development at Old Faithful, potential wildlife habitat and the park area’s wildfire history. The project was led at the UO by Marcus and James Meacham, a senior research associate and director and co-founder of the university’s InfoGraphics Lab – a GIS and cartographic research facility in the geography department. Alethea Steingisser of the InfoGraphics Lab managed the book’s production and Ann Rodman, Yellowstone’s GIS coordinator, led efforts from the park. The UO’s collaborators on the Yellowstone atlas included Yellowstone National Park, the University of Wyoming, Montana State University, the Museum of the Rockies, the Montana Institute on EcoSystems at MSU and the Draper Museum of Natural History at the Buffalo Bill Historical Center in Cody, Wyo. Funding partners for the project included the UO, Montana State University, University of Wyoming, the Yellowstone Park Foundation and Canon U.S.A.